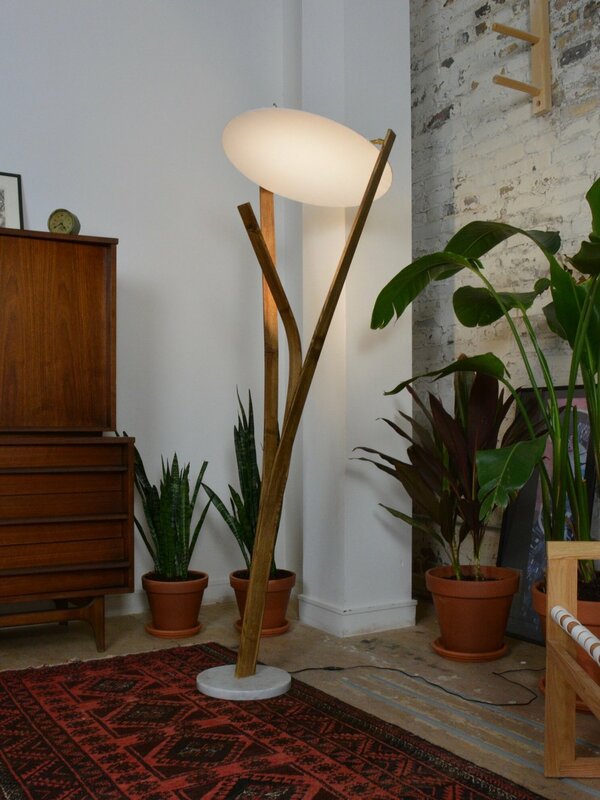 Floor lamp made from steam-bent ash wood. Lamp includes three diverging arms - the front arm containing an embedded ceramic LED rated for 50,000 hours. The goal behind the design of this lamp was to orient the lighting element away from the area it will ultimately illuminate. The light emitted is reflected by the top shade, creating a comfortable spread of illumination that's bright but not overly concentrated in one spot. Dimensions: 24" x 22" x 70"